What a doll Marlowe is! She is a perfect embodiment of what a Bernedoodle temperament should be. She is bubbly and extremely friendly, loves playing ball, loves human attention, is great with other dogs and is intelligent and trainable. Marlowe is a pretty middle of the road dog who can handle anything and everything you throw at her. She a substancial dog with thick boning and dense muscle structure and a fairly thick curly coat (no loose curl but not a tight curl either). 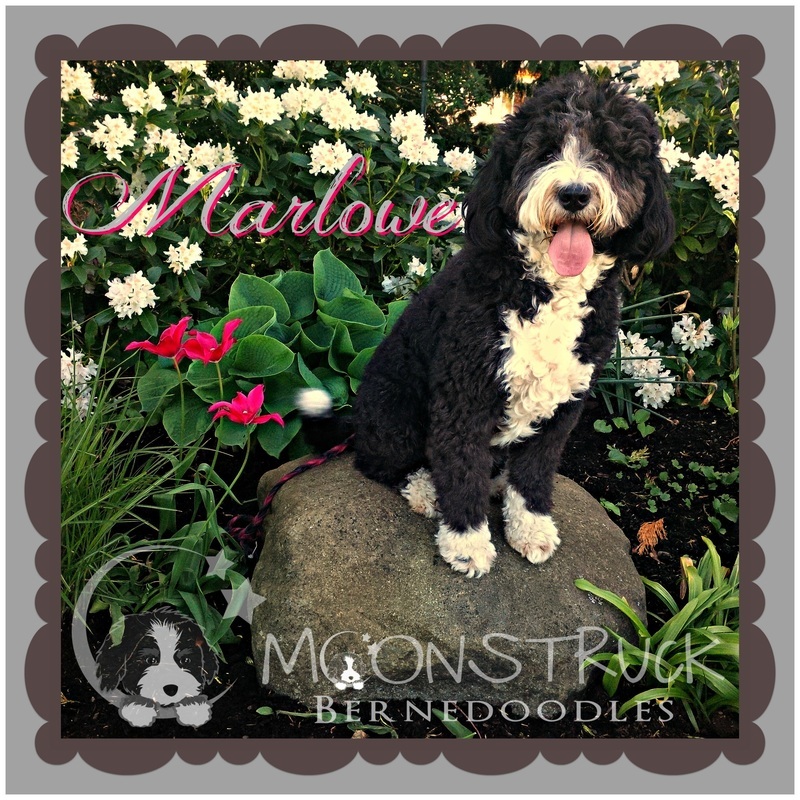 Marlowe lives in Campbell River with an awesome guardian mom who spoils her rotten!